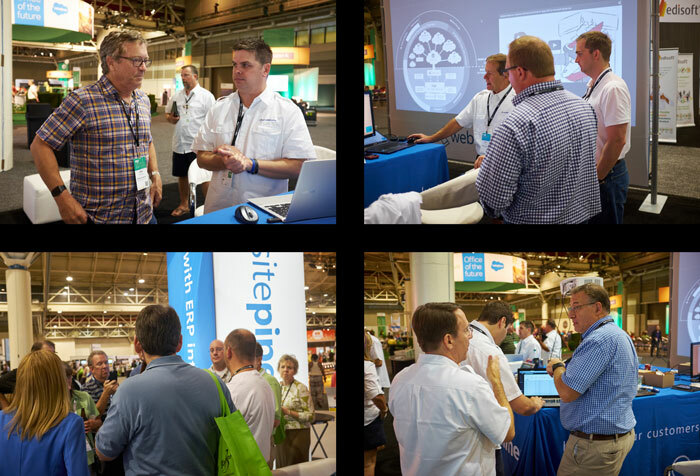 We walked away from Sage Summit in New Orleans feeling like we had a great trade show. 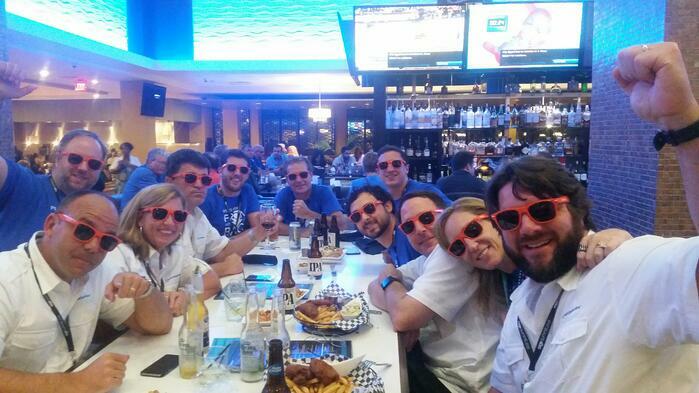 We made great connections with current customers, potential customers, business partners, and Sage employees that will be mutually beneficial for years to come. 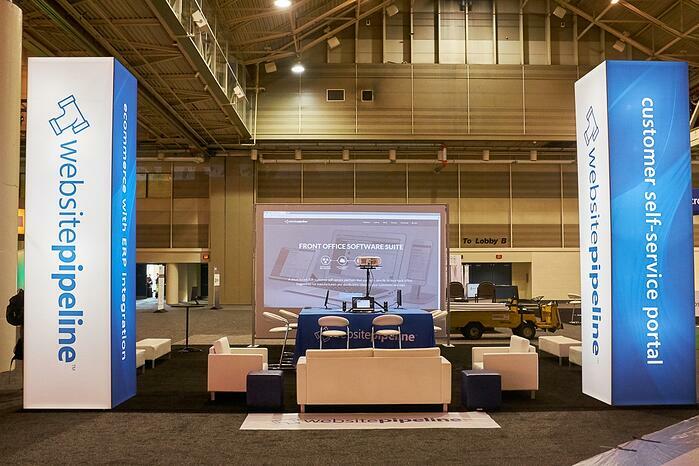 We had a great crew of Website Pipeline people, along with some helpers from the convention center, to get our booth constructed. 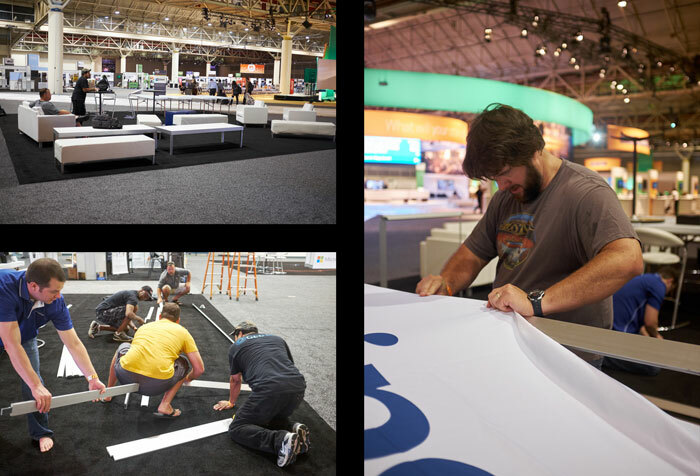 When we arrived at the convention center, our booth consisted of carpet and furniture. With a lot of sweat, a few tears, a lot of muscle, and just a touch of brainpower, we managed to get the light towers and video screen constructed. As you can see, teamwork, played a key role in getting things setup. After several hours' work, the booth was ready for the show to open the following morning, so we headed off to the Sage Business Partner event and connected with great folks from partners, partner groups, and Sage. The rest of our crew arrived Tuesday morning, so we were well-staffed to accomodate the hoards that arrived on the expo floor once the first keynote speech ended. The WSP team demo'd our solutions to potential customers and business partners, resolved issues for existing customers, and hosted all sorts of conversations with booth visitors. We loved getting face time with our partners to brainstorm on how our new dedicated partner team can help them achieve their goals. And our friends from the 90 Minds Group stopped by during their "Expo Crawl" to learn how we can assist them in their efforts to make Sage users' daily lives easier. 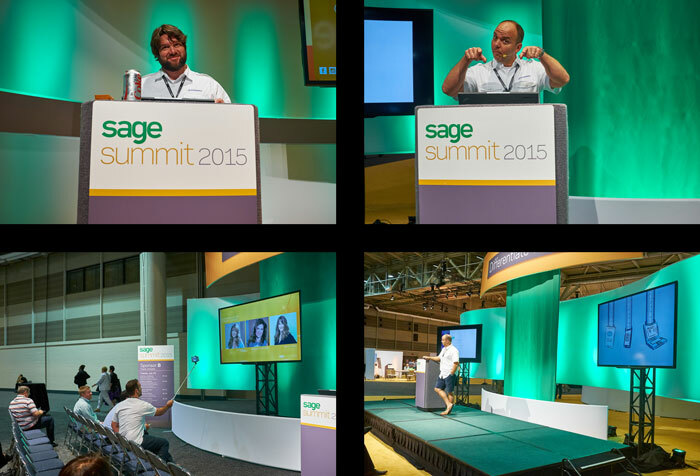 We also had the opportunity to speak at four sessions during Sage Summit. Sales guru Don Martin took a selfie of his audience while speaking on smart software investments, while Diet Coke powered co-founder Eric Alexander's session on customer self-service. 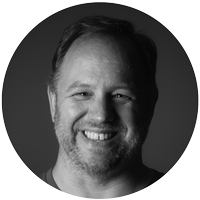 CEO Brian Seidel presented back-to-back sessions on future-proofing ERPs and leveraging the cloud to manage your business. 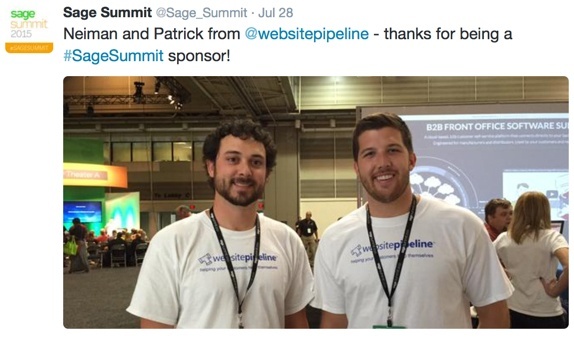 Overall, Sage Summit in New Orleans was a great event for Website Pipeline, and we're looking forward to more of the same in Chicago next year! For wholesale and manufacturing companies using Sage ERP or Microsoft Dynamics ERP systems to manage their business, Website Pipeline’s suite of cloud-based e-commerce solutions helps those companies get, keep and grow their customers. Fully integrated with Sage ERP and Microsoft Dynamics ERP platforms, Website Pipeline allows customers to do business with your company the way they want: anytime, anywhere, on any device. Contact us today for a free consultation and we will show you how we can help improve your business.